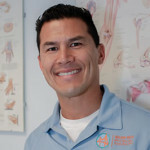 When I took over Golden Gate Physical Therapy in 2004, I envisioned a clinic with a sense of ohana, which means family in Hawaiian. I believe every patient should be treated like they are a part of our family, and this is the welcoming spirit that guides our patient care every day. Your health and well-being are important to us and we want to give you the careful, personalized attention you deserve. We are proud to be the exception among San Francisco physical therapy clinics, devoting professional attention to every patient at every visit. Read about our higher standard of care and our promise to you. If you’d like to know more about how we might approach treatment of your physical issue, we invite you to schedule a free phone consultation with one of our experts. email it to us before your visit. Although it may take 30-60 days to receive a bill for your deductible, all co-pays are expected at the time service or treatment is provided. As a courtesy to our patients, Golden Gate Physical therapy will file claims with patients’ insurance company for services rendered and help patients get direct payments from the insurance company. Ultimately, patients are responsible for their charges. You will receive a bill for all balances due, once all insurance payments for a series of treatments have been received by GGPT. These balances and co-pays are the patient’s responsibility. We accept most PPO insurance carriers. Please inquire with us to check your PPO coverage. Please feel free to contact us with any questions or concerns regarding insurance coverage. We will be more than happy to ensure that you understand your coverage and claim procedures. Contact us with any questions.